Liana Downey, Director and Founder, Liana Downey & Associates, to lead discussion on “Get Focus, Get Funding” for Tax Exempt Organizations at 7:30 A.M., May 5th, MetLife Stadium, East Rutherford, NJ. CFOs and senior finance executives may attend at no cost, and non-CFOs may purchase tickets, by registering at www.CFOstudio.com. 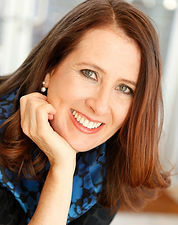 Liana Downey is an experienced strategic advisor dedicated to creating social change. As executive director of Liana Downey & Associates, Downey and her team help visionary social leaders and organizations increase focus and change lives. Previously Downey led the social and public practices at McKinsey & Company and was a Special Advisor to the Australian Department of Prime Minister and Cabinet. Liana is a sought-after speaker, and the author of Mission Control: How Nonprofits and Governments Can Focus, Achieve More and Change the World (Bibliomotion, 2016). Liana teaches leadership at Wagner’s Graduate School of Public Policy, and serves on the the board of Room to Grow, an innovative nonprofit dedicated to improving the lives of families living with poverty. Downey holds an MBA from Stanford (Arjay Miller Scholar). Eric Wukitsch, CFO & COO, Vantage Custom Classics Inc., and William Craig, CEO & CFO, Tarantin Industries, to lead discussion on Business Ethics for Small Market and Emerging Growth Companies, moderated by Fulton Bank of New Jersey, at 7:30 A.M., May 5th, MetLife Stadium, East Rutherford, NJ. CFOs and senior finance executives may attend at no cost, and non-CFOs may purchase tickets, by registering at www.CFOstudio.com. Eric Wukitsch, Chief Operating and Financial Officer, Vantage Custom Classics, Inc.
Eric Wukitsch, CPA, CGMA, is the Chief Operating Officer and Chief Financial Officer of Vantage Custom Classics, Inc. Eric graduated from Georgetown University in 1977 and attended post graduate classes at Oxford University School of Business Administration. He started his career in public accounting rising to become a Partner at BDO Seidman, LLP before coming to Vantage. During his career in public accounting he developed a level of expertise in two areas, providing special services for financial lenders and real estate accounting working with some of the top developers in New Jersey. Since arriving at Vantage, he has been involved in every aspect of the organization with the exception of the sales function; in addition to the finance department, he is also responsible for human resources and operations. Bill Craig has a track record of improving under-performing businesses and bringing financial management to the next level in public and private companies. He integrates financial management with business operations and corporate strategy. Bill has a Big 4, Fortune 10 background with success with start-ups, turnarounds, strategic changes, and crisis management. He has the proven ability to raise debt and equity via initial public offering, secondary offerings, private placement. Bill raised nearly $800 million in IPO and 2PO over the last six years (8 offerings, 1 IPO) and raised nearly $750 million in debt over the last six years. He has prior experience raising equity and debt via public and private markets. Bill has provided mezzanine financing to over 80 middle market transactions ($1.4 billion) during his career and has extensive contacts on Wall Street as well as PE and VC. His industry experience includes investment management, manufacturing, medical devices, industrial products, distribution, technology products, consumer products, and chemicals, & energy.